Note that she produced some Latin squares, but also explored other ideas. 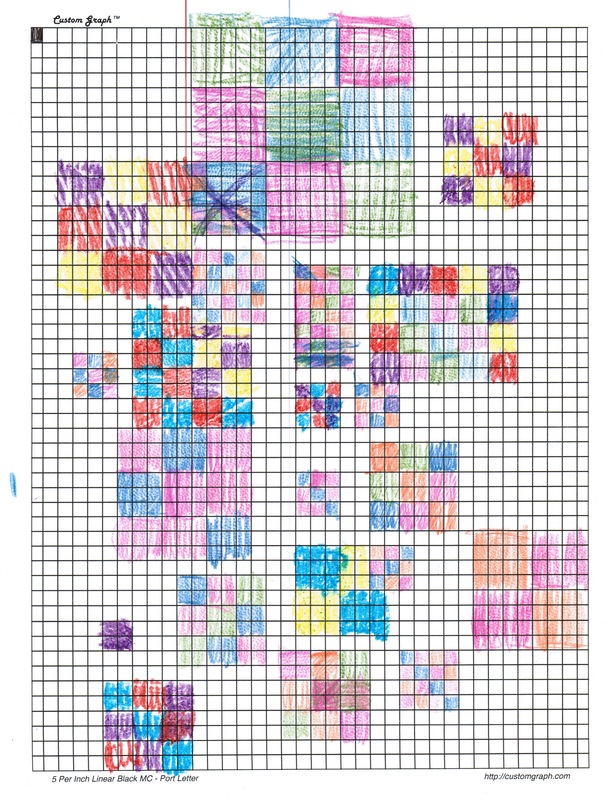 Next, the ten-year-old wanted to produce some squared squares of his own, but found the perfect ones difficult (they were thought to be completely non-existent for a long time after all). He settled for producing imperfect ones. 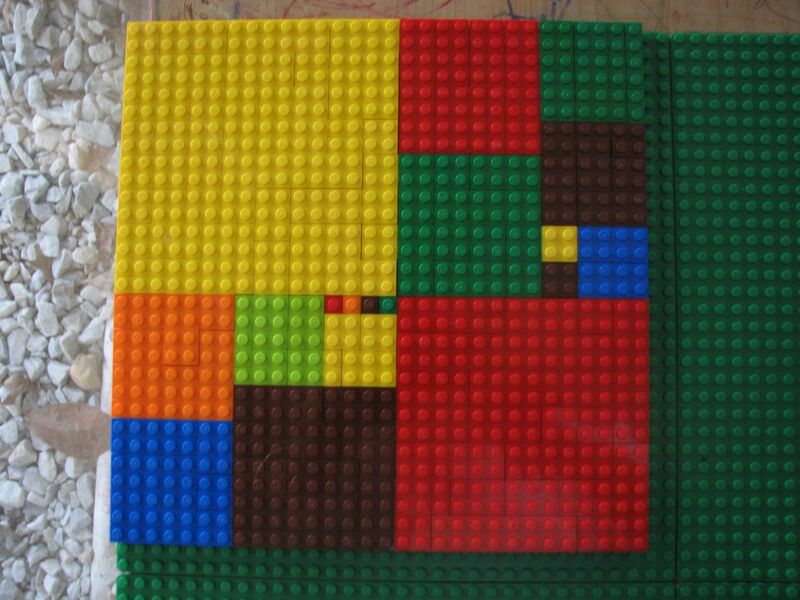 After making an imperfect squared square on graph paper, he decided to reproduce it with Legos. 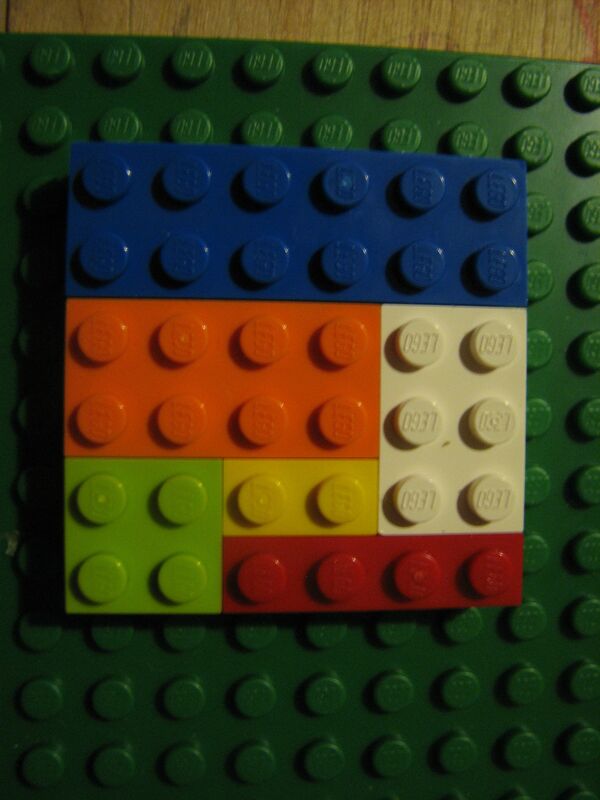 Here is the result: This led us to considered perfect Legoed squares. 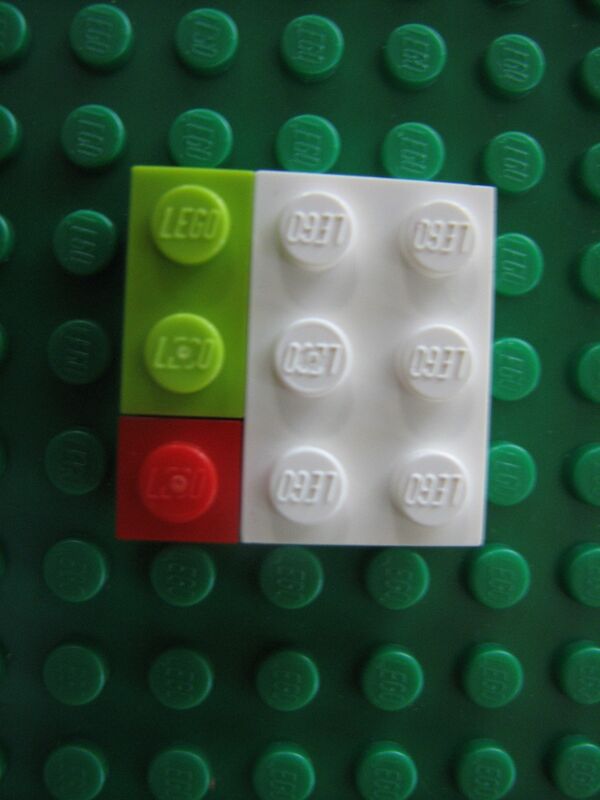 That is to say, squares made up of some number of Lego pieces, each piece having a unique size. 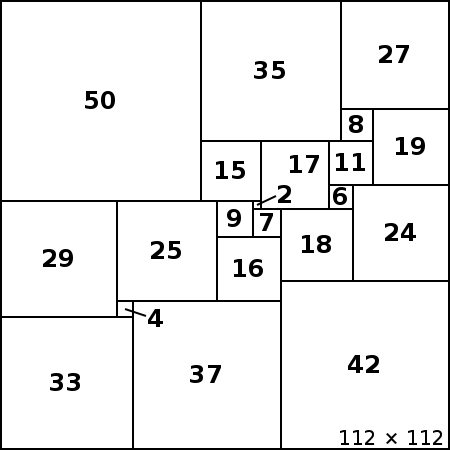 Here is one of our first examples: It’s a 3×3 made up of a 1×1, a 1×2, and a 2×3. Here’s another, somewhat larger: We found a bunch more (maybe ten or so total). I’m not sure that we got all of them. How many can you find? Look for up-coming posts on: 1) further progress in building our marble computer, and 2) teaching my five-year-old to count (which required some deep thought about just what counting is). This entry was posted in geometry, math, polyominoes and tagged combinatorics, graph paper, kids, latin squares, legos, squares. Bookmark the permalink. I really like what you’ve done with your kids. Can I include a link back to this page from Squaring.net? Please go ahead and include a link to my blog post from squaring.net. 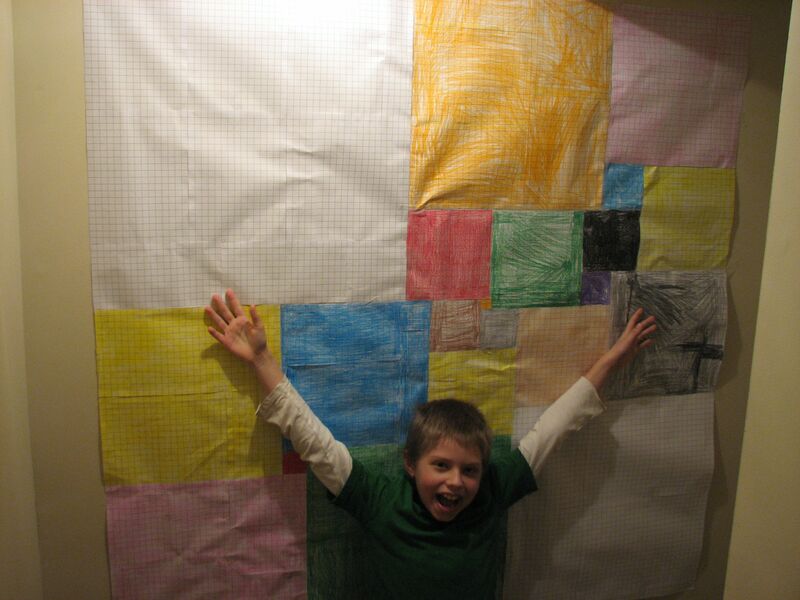 My kids and I are big fans of squaring.net and have spent a lot of time exploring your site. I’m glad you like the pictures of our projects.